Jason was riding his bike and fell off of it. Both of them were sliding towards a fence. Jason stopped before hitting it, unfortunately bicycle did hit a fence. 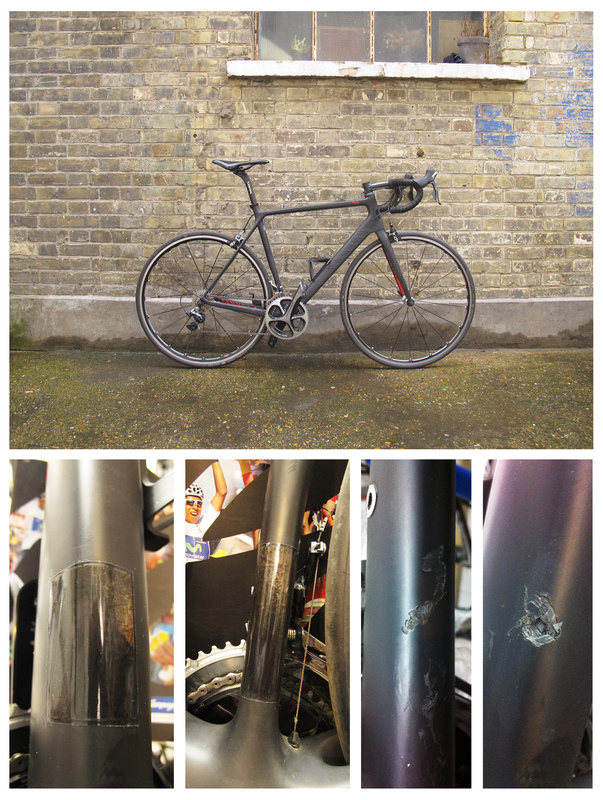 It caused a crack on a seat tube and metal piece pierced through the down tube. Both, down tube and seat tube has been repaired. Today, Jason is happy and we are happy seeing him riding his beloved Canyon SLX.